Nechama Siegel is a Junior and Fashion Editor of The Looking Glass. Interestingly enough, Nechama is one of SKA's only students who lives in Long Beach, New York. 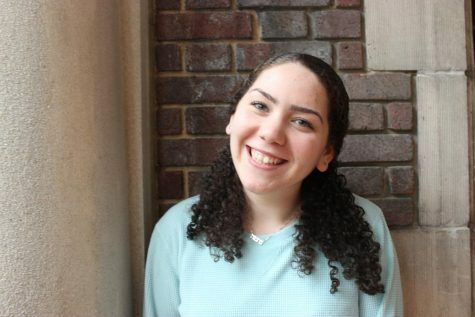 Nechama is a member of the Math, Volleyball B, and NCSY JUMP Teams. She is also a head of the Sparks Committee. She is also very excited to be a part of Comedy this year in Production. Outside of school, Nechama enjoys participating in Yachad, helping out in the Long Beach Jewish community, and, of course, is a big fan of naps!